Ambrotype, invented by sculptor, Frederick Scott Archer in 1852, is a unique form of photography in which pictures are taken on glass. It reached the peak of its popularity between 1857 and 1860, becoming less common in later years because of advances in technology. It has been suggested that the name ambrotype comes from the Greek word ambrotos, which means immortal. The first step in taking an ambrotype photograph is preparing the plate. 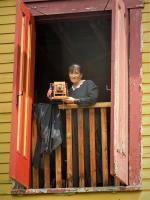 The glass plate has to be cleaned and then covered in collodion, which is a sticky liquid used to help hold the image. The photographer pours the collodion onto the centre of the plate and tilts it gently in a circular motion until the entire plate is covered, which requires a considerable amount of practice. The photographer must make sure that there are no bubbles after pouring, which can cause dark spots on the picture. The plate is then immersed in a silver nitrate bath, to make it light sensitive, and it is placed in a shield. From this point the plate is taken to the camera where it requires 10 to 40 seconds of exposure (depending on the humidity in the air). 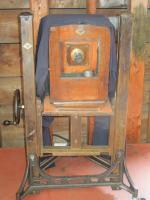 After exposure, the shield and plate are removed from the camera and taken to the darkroom where the developing fluid is poured onto the plate. The photographer must be very careful to pour the fluid onto the plate evenly, quickly, and without splashing, to ensure a good finished product. When it is completed, the photographer examines the image produced on the glass to see if the desired result has been obtained. If the photograph is acceptable, the developing fluid must be washed off the plate before it begins to eat the image away. After rinsing, the picture is fixed with a potassium cyanide and water solution. 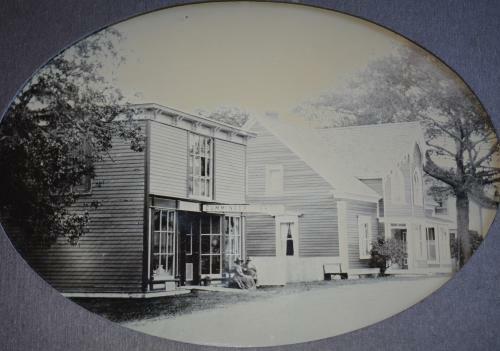 When the photograph is completely done, it is varnished, and a black backing added, making the photograph appear black and white. 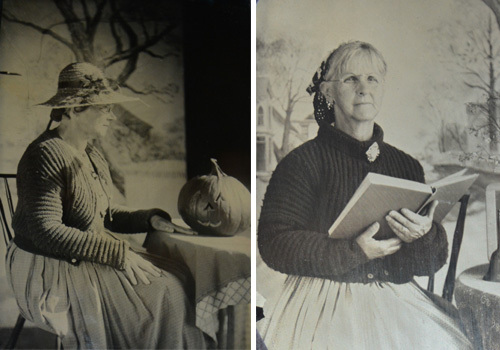 In the 1800s, posing for ambrotype photographs changed very little from one sitting to the next. If the photograph was being taken of a woman and a man, then the man would always be seated with a brace holding his head still and the woman would be standing next to him, also with a head brace. Children were usually seated regardless if they were boys or girls. A key element in ambrotype photography is keeping the subject completely still. If the subject in the photograph does not remain completely still the picture will be blurred. It is difficult to take good ambrotype pictures of women since it is much harder to stand still than to sit still. Photographers of the nineteenth century also did something that may sound morbid to us now – taking postmortem pictures. Since many of the subjects of postmortem pictures did not have any other pictures taken during their lifetime, this would be the only record of what that particular person looked like. 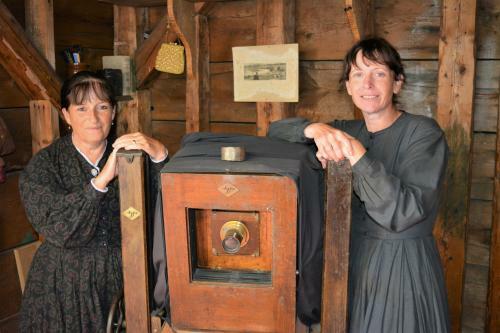 The photographers at Sherbrooke Village do not take postmortem pictures; however, they do continue to take pictures with an ambrotype camera that dates back to 1905. 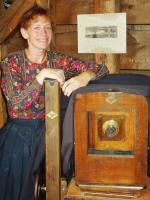 Visitors are welcome to come to the Ambrotype Studio, dress in period costume, and have their picture taken. Pictures ae $49.50 + HST and can include up to 3 people.